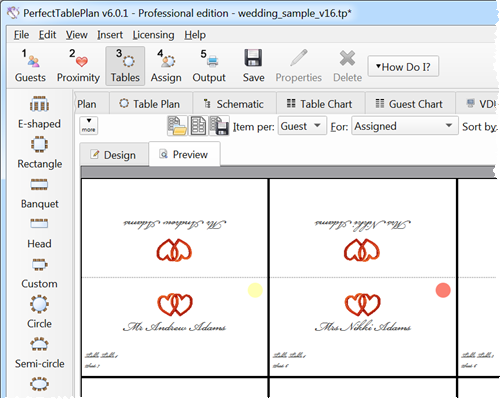 A good choice of font can really liven up a seating chart, table plan or place card. Download the .zip file from the link above. Right click on the font(s) you want to install. Double click on the downloaded folder. Double click on the folder of the font you wish to install. Double click on the font .TTF (truetype) file. The FontBook window should appear. Click on the Install Font button. Not all the fonts may be suitable for Mac. You may need to restart Mac before these fonts are available to applications. Not all fonts contain all characters. For example some fonts do not contain numerals. 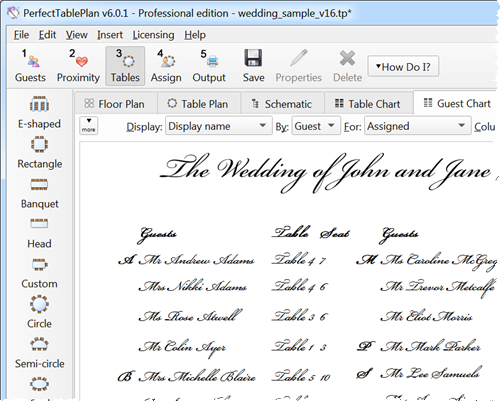 Some of the 'taller' fonts may not be ideal for use in floor plans as only 1 line of text will fit within a seat. 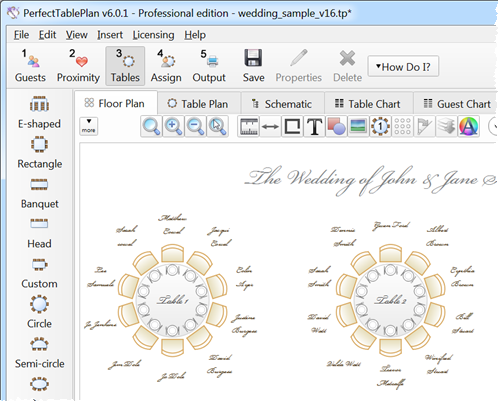 If you copy a plan file to another PC you will need to copy any non-standard fonts it is using. We did not create these fonts. We found them on font websites and have packaged them together as a free service to our customers and anyone else that wishes to use them. We provide them as-in and can accept no responsibility for any issues arising from their use. As far as we are aware all of these fonts are free for non-commercial use. Some of them are also free for commercial use. Wherever possible we have included any licensing information with the fonts - please read it. If you have any questions regarding copyright or what constitutes commercial use you should contact the font author, not us. 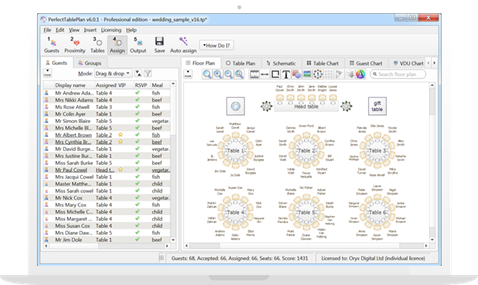 The easiest way to create a table seating plan for your wedding, celebration or event.